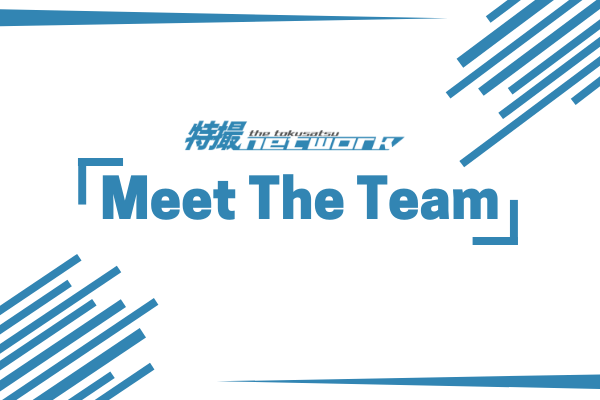 For the first interview of the Meet the Team series where we speak with members of Team TokuNet, we talk with Malunis, the team’s Staff Writer and Copy Editor, to get to know him better. I tend to just default to “I’m just a guy who draws stuff” and that’s basically still accurate. I started socializing online in 2005 and have been here since. I’ve mingled in the fandoms for Sonic, Death Note, Transformers, Pokemon and more – all the while creating fan art, fan fiction, and fan characters… and some original content here and there. I like to share what I make. For starters, the obvious: I was a fan of Mighty Morphin’ Power Rangers when it was the new hotness, and owned a lot of figures and even a couple Megazords. I grew out of it by the end of the “Zordon Era” and engaged in other things until about 2009. There’s a certain Internet Personality on YouTube who reviews a lot of Transformers content, and at some point he started to sprinkle in some Kamen Rider figures. I considered buying a figure or two since they were cool designs, but I decided I would go all in and give it a watch, starting with Kamen Rider Kabuto. That was the one that looked most interesting to me, and I was told it was a good introduction show. Over the course of those next few years, I eventually finished watching every Heisei era Kamen Rider show, and even gave a few Super Sentai series a chance. I have watched a few Sentai all the way through, but it’s definitely apparent to me that Rider just happens to be more appealing to me. I’m way into robots, but the giant robot fights in Sentai get stale after a while, so I appreciate how Rider finds other ways to keep things interesting. How did you become a member of Team TokuNet and what does your role entail? To make a long story short, I ran an independent news blog on Tumblr called Fruit Rider News, which I apparently did a decent job at. I took a break after Gaim ended, then came back full force with Ex-Aid and Build. 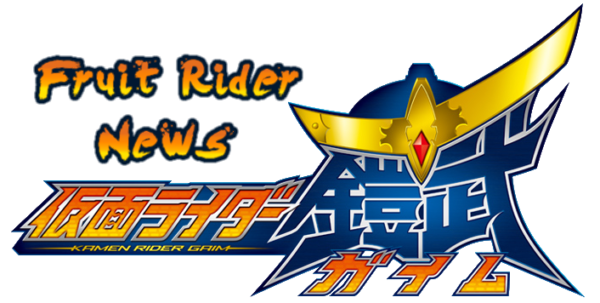 It’s funny how things work out – one of the earliest articles I linked to on Fruit Rider News was a Tokusatsu Network article, and it was one of their very first articles since the site was new at the time. It’s almost like we were fated to combine forces… and that’s very tokusatsu. At the end of 2017, TokuNet staff approached me about being a writer for the site, specifically citing the effort I put into documenting toy releases on my own blogs. I began as a temporary writer, then got to stick around as a proper staff writer. Today, I’m a copy editor, which means I now read drafts and publish them once they meet the criteria – it feels like a lot of responsibility, but I feel confident due to the support I’ve been given, and I hold the title with pride since it means I’ve really earned my place here. It bares mentioning that there are specific types of articles I chose to do on my own. During Kamen Rider Build, I began the monthly toy roundup articles to cover everything coming out in the upcoming month, which is actually wayyy easier than what I was doing on my own blog. With the debut of Kamen Rider Zi-O, I also started writing monthly reviews for the show, and summaries of the new Bandai candy toy blog updates. I don’t want to sound egotistical, but this is the way I saw it: My Rider news blogs had a following, so I proposed these articles for TokuNet so that I could continue doing the kind of content that people followed me for. I can’t be sure that anyone from my news blogs is following TokuNet, but I hope they consider it – this place thrives on accurate information. What is your favorite tokusatsu show or movie? Kamen Rider Gaim is the obvious one. It holds a lot of meaning to me as a starting point for my blogging, and even moreso now that it led me to become part of TokuNet and meet so many great folks here. But just as a show, I also find it really important for the franchise. 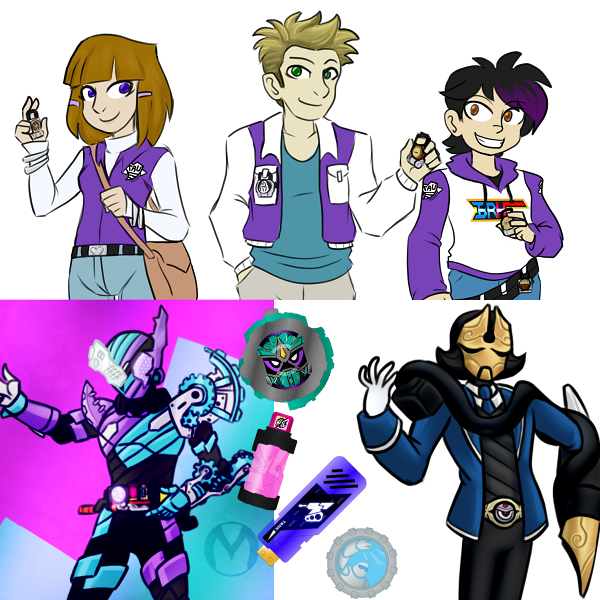 At the time, it was becoming apparent that the shows were starting to hit some kind of burnout with their tropes – every show after Kamen Rider W had some similar themes going on, such as little gadgets, humans becoming monsters, and toy promotions seemed to become more obligatory than usual. Not only that, but the two-part story arcs were something I was beginning to find too predictable. Maybe the franchise itself was still doing fine, objectively, but I certainly felt a bit like I was getting tired of it during Kamen Rider Wizard. Then Toei throws a fruit themed samurai at us, removes some of those tropes, hires the esteemed Gen Urobuchi, and involves staff members that specifically WANT to do something fresh that’s based on old fan favorite Ryuki. To me, Gaim is VERY important as a status quo shaker that really reinvigorated me and my love of Kamen Rider. It was not perfect, but in many ways, it left an impression on me. Even now, when it comes to fan fiction, I still come back to Gaim. Even now, when it comes to art, I make use of nice vibrant colors because of how much I loved the show’s color choices. Even now, I still make fruit puns when I can. I’m not even joking when I say Gaim is like a muse to me – it really did change me in a lot of good ways. … Hm, bit of a shame I didn’t have an answer for movie… Y’know what? Superhero Taisen Megamax is a really fun crossover movie for OOO and Fourze. I have fond memories of watching it with a friend who had just gotten into the series through Fourze. Is there a funny or memorable moment from working in TokuNet that you would like to share? Honestly, I’ve never had so many meaningful discussions about toku until I joined the site – it’s hard to pick one. I just remember when I first got to know everyone, I asked a lot of questions about dumb rumors that perpetuated in fandom, because I care a lot about not spreading misinformation and was finally talking to people who knew the facts. But funny moments? Robin, who you may recognize from the toku actor blog news posts, is fun to exchange puns with – he and I both have a tendency to just drop a really dumb pun in chat and wait for a response. And since I know close to nothing about Ultraman, I also liked to bug some of the Ultra fans on our crew with jokey questions like “Is there an Ultraboy?” – and yes, there is! Outside of working for TokuNet, do you have any personal projects or hobbies? For now, I do a lot of fan stuff that I put way too much thought into – I wanna do it right, keep a hand on the pulse of what the show is doing with its motif and its plot. DeviantArt is where you can see a lot of that content as it’s being made. I also occasionally write reviews outside of TokuNet, mainly toy related, which I link to on Twitter. I’ve had the same username since I joined the internet world – generally, if you see the name Malunis, and they’re an English speaker who’s geeking out about fan stuff, that’s probably me! But just to be safe, I have a site set up here that should show you where I’m for sure hanging out. Thank you for taking the time to read, and thank you to the people who’ve been supporting me all these years – I hope to keep delivering news with TokuNet for years to come!